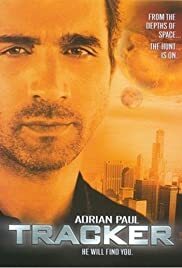 Los Angeles Times: "V: Upsetting the Apple Cart"
Rather blah if otherwise well-made sci-fi vehicle for "Highlander" star Adrian Paul. He's in control here, and this series was seemingly constructed around his personal charm, but to this point he's evidently shooting for subtlety. The performances aren't really bad, but bland; if the cast is holding back some "oomph" to be revealed later, one can only hope the show isn't cancelled before they get the chance. The action and suspense are low-key as well. And leaving aside the set-up and a couple of gadgets, there's very little in the way of science fiction present. I can't really say I dislike the show, but the producers had better hope it's not scheduled against very strong competition (it comes on at 2AM Sunday here).